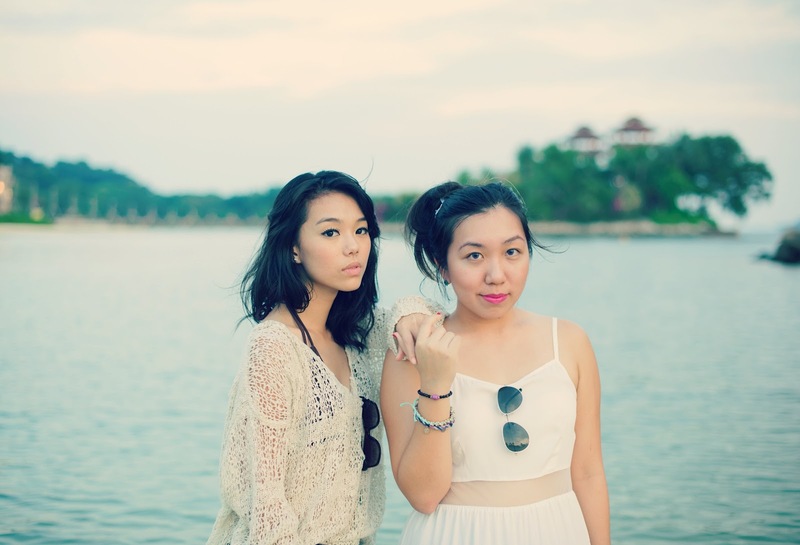 The second installment of my shoot with Joyce and Alvin at Palawan Beach, Sentosa. I’m wearing the “Nasty Knitted Top” from online webstore Fox-Out.com (Direct link: http://www.fox-out.com/product_info.php?cPath=1&products_id=170), whom I’m modeling for now as well.As the name suggests, the top is pretty much something you can find from NastyGal.com. I’ve never bought anything from nastygal.com because I’m kinda reluctant to spend on the shipping costs (which is sometimes more expensive than the item itself). So if you’re looking for items that are NastyGal-ish, at an affordable price and can be delivered to you within a few days, Fox-out.com is the place to go! Their items go from edgy rocker chick to sweet girly dresses – perfect for versatile fashionistas! I wish my hair could be a really long, then I’d be able to pull off a more surfer-girl kinda look. Alas, I am not destined to be one. I paired the knitted top with an inner bikini top and a Pull & Bear denim shorts. Joyce will be blogging about her outfit soon, so check back regularly to find out more details on her outfit. Photos by Alvin Teo for Jujuphotography.